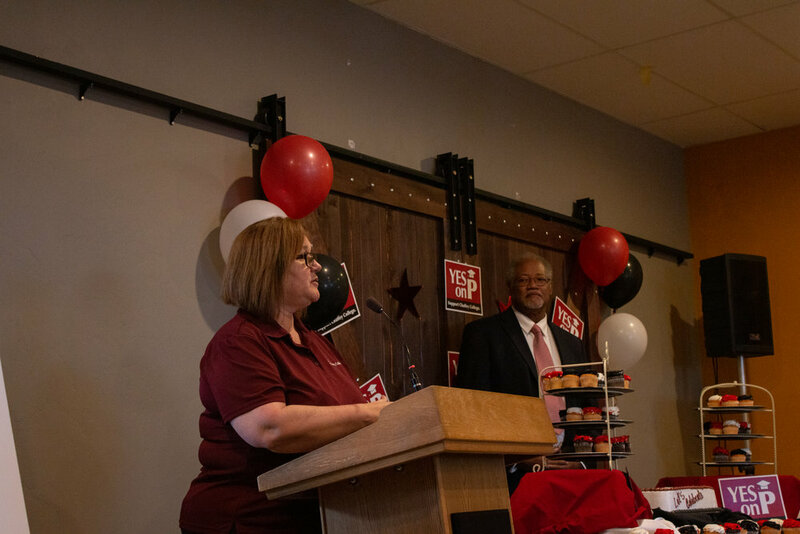 Students, faculty and administrators of Chaffey College recently gathered to celebrate the passing of Measure P, a bond that would provide up to $700 million in locally controlled funding to improve infrastructure and upgrade student resources. On Nov. 13, members of the Chaffey College's community were invited to AD 151 at the Rancho Campus as a way to thank those who supported the measure. Chaffey Governing Board President Kathleen Brugger attended, as well as Superintendent and President of Chaffey Dr. Henry D. Shannon. The bond, which was on the 2018 California General Elections Ballot, passed with 57.2 percent of the vote. During the event, attendees had the opportunity to view the layout for the intended construction to take place on all three campuses. The Fontana and Chino Campuses will see renovation on old buildings and a new campus in Ontario. A Master Plan Potential Program for the Ontario Campus was showcased as well, detailing potential opportunities at the new campus. Light refreshments were provided, and the event came to a close within the hour.